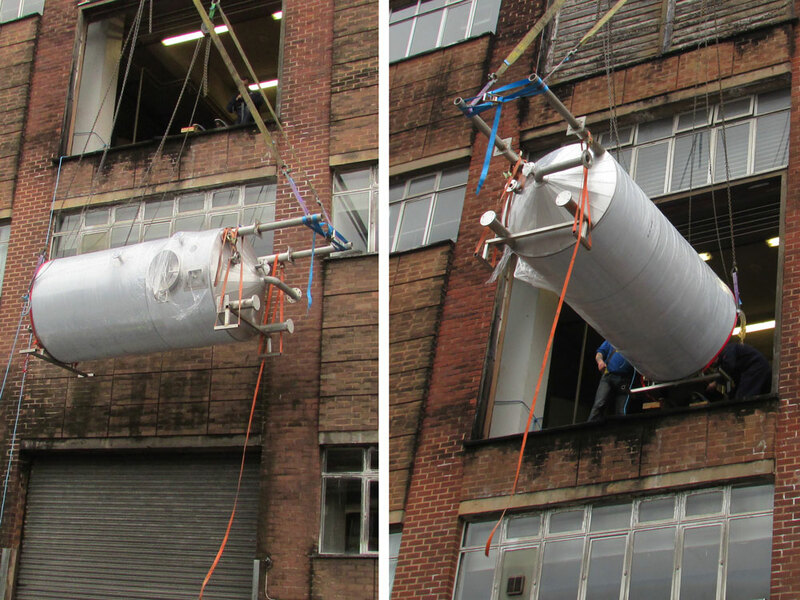 The image above shows the arrival of a recently completed Yeast Tank Plant for Banks Brewery in Wolverhampton. A complete road closure was co-ordinated with the local council to aid the offloading and ingress of 11 Yeast Tanks. A crane was operated from the road as the only access into the building was via a second floor access door way. 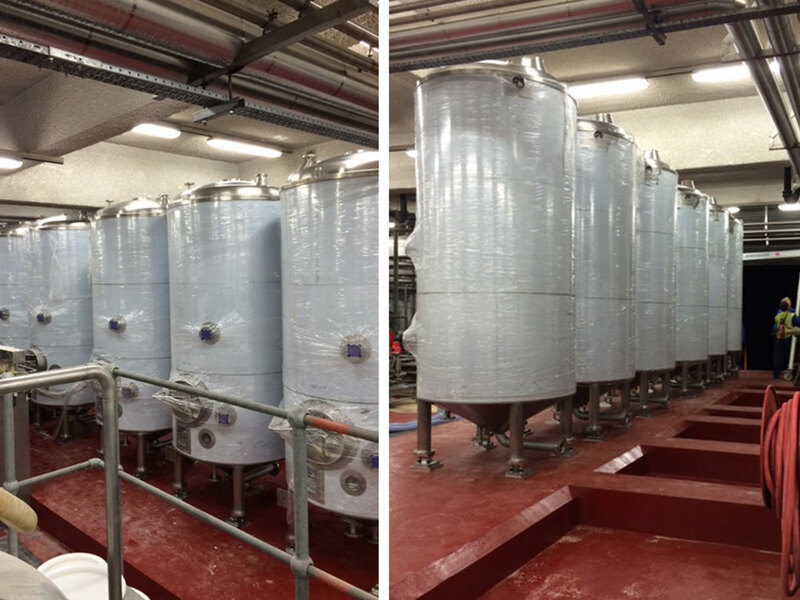 Once in the room, all the tanks were placed insitu, lined and levelled working alongside Speedrite International Ltd.